Sorry – Easter Brunch 2019 is SOLD OUT! 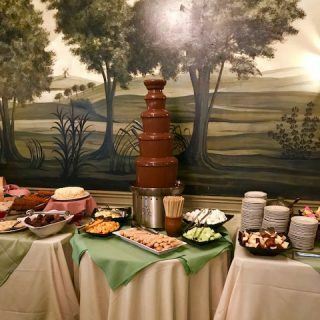 The Easter Brunch offered at the Oliver Wight Tavern at Old Sturbridge Village promises an extensive buffet in a charming setting. Village admission (not required to enter the tavern) is not included with Brunch price. You may also be interested in an Easter Feast at the Bullard Tavern.